Blizzard has reduced support for the game due to competition in the space. 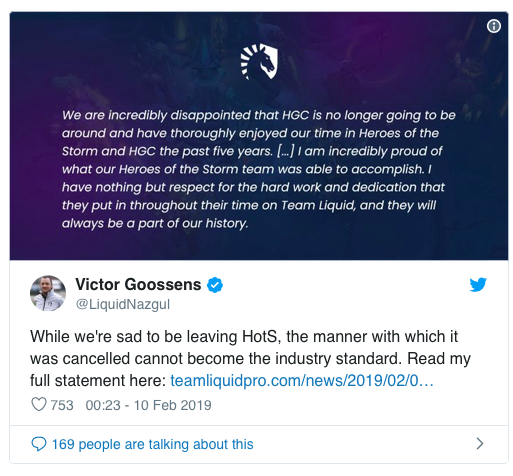 Team Liquid has announced that the organization will be disbanding it's Heroes of the Storm professional gaming team. This came as a result of Blizzard announcing job layoffs and reduced support for the game. This development is highly likely due to Blizzard's failure to monetize it's tournaments business surrounding the game.